Jean Moulin, the son of a professor of history, was born in Belziers, France, on 20th June 1899. He was conscripted into the French Army in 1918 but the First World War came to an end before he had the opportunity to see action. After the war Moulin joined the civil service and rose rapidly to become the country's youngest prefect. Influenced by his friend, Pierre Cot, a radical pacifist, Moulin developed left-wing views. During the Spanish Civil War Moulin helped to smuggle a French aircraft to the Republican Army fighting against the Royalists. Moulin refused to cooperate with the German Army when they occupied France in June 1940. He was arrested and tortured by the Gestapo and while in his cell he attempted to commit suicide by cutting his throat with a piece of broken glass. After recovering he was released from prison. In November 1940, the Vichy government ordered all prefects to dismiss left-wing mayors of towns and villages that had been elected to office. When Moulin refused to do this he was himself removed from office. Over the next few months Moulin began to make contact with other French people who wanted to overthrow the Vichy government and to drive the German Army out of France. This included Henry Frenay, who had established Combat, the most important of all the early French Resistance groups. He also had discussions with Pierre Villon who was attempting to organize the communist resistance group in France. Later, Moulin was accused of being a communist but there is no evidence that he ever joined the party. Moulin visited London in September, 1941 where he met Charles De Gaulle, Andre Dewavrin and other French leaders in exile. In October 1941, Moulin produced a report entitled The Activities, Plans and Requirements of the Groups formed in France. De Gaulle was impressed with Moulin knowledge of the situation and decided he should become the leader of the resistance in France. Moulin was parachuted back into France on 1st January, 1942. Moulin brought with him a large sum of money to help set up the underground press. This included working with figures such as Georges Bidault and Albert Camus who had both been involved in establishing the Combat newspaper. 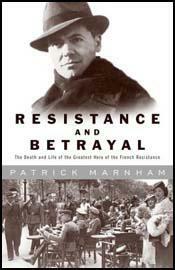 Moulin's main task was to try and unite all the different resistance groups working in France. Over the following weeks he arranged meetings with people such as Henry Frenay (Combat), Emmanuel d'Astier (Liberation), Jean-Pierre Lévy (Francs-Tireur), Pierre Villon (Front National), Pierre Brossolette (Comité d'Action Socialiste) and Charles Delestraint (Armée Secrete). After much discussion Moulin persuaded the eight major resistance groups to form the Conseil National de la Resistance (CNR) and the first joint meeting under Moulin's chairmanship took place in Paris on 27th May 1943. On 7th June 1943, René Hardy, an important member of the resistance in France, was arrested and tortured by Klaus Barbie and the Gestapo. They eventually obtained enough information to arrest Moulin at Caluire on 21st June. 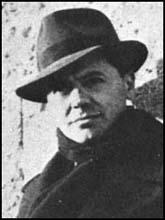 Jean Moulin died while being tortured on 8th July 1943. Jean Moulin was dropped by parachute in France during the night of January 1st. He carried credentials from me appointing him as my delegate for the non-occupied zone of Metropolitan France and instructing him to endure unity of action among the elements of the resistance there. This would mean that his authority would not, in principle, be disputed. It was therefore agreed that it was he who would be the centre of our communications in France, first with the South Zone, then, as soon as possible, with the North Zone. (3) Report written by Jean Moulin just before his death in July, 1943. I am now hunted at the same time by Vichy and the Gestapo who are not unaware of my identity, nor my activities. My task is becoming more and more delicate, while the difficulties increase constantly. I am determined to hold on as long as possible, but if I should disappear, I should not have had the time to familiarize my successors with the necessary information. It was Jean Moulin who united resistance; who concentrated the scattered energies of the French into the sole channel of anti-German activity; who saved France from the civil wars that ravaged Poland, Yugoslavia, Greece; who gave the battered nation back its self-respect. He never blew up a train, or knocked down a bridge, or even carried a pistol; he made sense of the work of those who did. As André Malraux said at the ceremony of the laying of the ashes, in a splendid invocation to the dead and to the young, "He made none of the regiments; but he made the army."